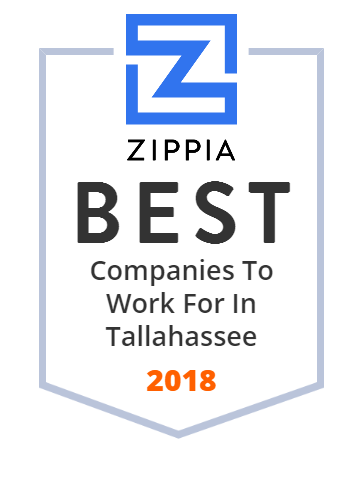 We hand-curated a list of the best companies to work for headquartered in and around Tallahassee, FL using data on salaries, company financial health, and employee diversity. Mainline is an IT solution provider serving clients that come from various industries across the United States. The company has more than 500 professionals around the country that recommend, design, and support IT solutions to make businesses more effective. Mainline Information Systems, Inc. was founded in 1989 and is based in Tallahassee, Florida. Florida Housing Finance Corporation or Florida Housing was created by the state Legislature 35 years ago to assist in providing a range of affordable housing opportunities for residents that help make Florida communities great places in which to live, work and do business. Their vision is to be recognized as an outstanding provider of innovative, measurable, data-driven and fiscally sustainable solutions that respond to the affordable housing challenges of their state. Since 1977, Advanced Data Systems has been offering healthcare software solutions such as electronic health records software, medical billing and practice management software, and other solutions for physicians and healthcare providers. Its dedicated team of 300 ensure great customer service and as a result, the company's products are already used by thousand of users. The company also provides installation, customization, and training services. Advanced Data Systems is based in Paramus, NJ. Smiles by Beck is your Tallahassee, FL dentist and Invisalign provider providing quality dental care for children, teens, and adults. Call today. Image Api, Inc. provides technology solutions and outsourcing services. Its core products and services include content management solutions powered by Amazon Web Services, document imaging services, and business process operations. The company's goal is to help organizations overcome obstacles in the management of information. Most of its clients come from the public sector, including state and local government agencies and education institutions. Image API, inc. was founded in 1993 (reincorporated in 2012) and has an additional office in Austin, Texas. Prevacus is a pharmaceutical company developing a new treatment for concussions, a.k.a., mild traumatic brain injuries or mTBI. Brooks LeBoeuf Bennett Foster & Gwartney P.A. We are your Tallahassee Attorneys and are ready to assist you with personal injury, criminal defense and employment discrimination. 100+ years experience. Rowe Drilling is a water well supply contractor in the southeast US It serves customers from industrial, municipal and agricultural areas. Rowe Drilling assists customers in well design, resource investigation and development and construction of water supply facilities, pumping houses and pump stations. Rowe Drilling Company, Inc. was founded in 1946 and is headquartered in Tallahassee, Florida with additional offices in Savannah, Georgia, and Fort Meade, Florida. Vcarve provides IT staff augmentation services to public sector clients. Since its establishment in 2000, Vcarve has been developing and deploying application systems for many Florida state agencies. Besides IT staffing, the company also provides web development, data warehousing, quality assurance, and SAP services. Vcarve is headquarted in Tallahassee , FL, and has additional offices in Dayton, OH, and Madhapur, India. MGT is a nationwide professional services firm that delivers a diverse range of services to a variety of public sector organizations and nonprofit groups. With a national reputation and impressive track record of business from repeat clients, they provide customized solutions, objective research, creative recommendations, and quality products that respond to each client's unique needs and time requirements. Since its inception, MGT has remained true to their mission of providing high-quality, value-added consulting solutions that exceed the expectations of their clients and provide a meaningful return on investment. Conlan Financial Software Solutions provides many different customizable solutions to banks and credit unions and specializes in delivering full service check imaging solutions. The company provides technology that helps customers to move their funds from many different points such as mobile deposit, ATM deposit, ITM deposit, branch deposit, and merchant deposit. Founded in 2000 and based in Tallahassee, Florida. McConnaughhay, Coonrod, Pope, Weaver, Stern & Thomas, PA operates as a law firm. Its areas of practice include banking, finance, securities, investments, real estate, acquisitions, mergers, and taxation. Regional, national and international clients of the firm come from various industries, from small businesses to multinational corporations. The firm has multiple offices throughout Florida and Southern Georgia. The Tallahassee office is the headquarters of the firm, established in 1979. Altrua is a marketing firm that specializes in point of purchase, digital imaging, and a variety of other technological innovations.